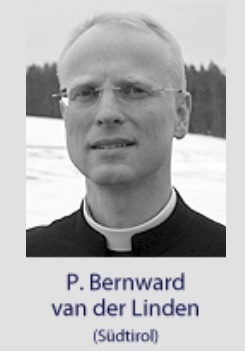 (Innsbruck) The Fraternity of St. Peter (FSSP) now extends its pastoral activity and now has a permanent apostolate also in the Diocese of Bolzano-Bressanone. Already 15 years ago the first contacts to South Tyrol had been made. Priests of the Society of Saint Peter were invited to their parishes by friendly priests. 300 of the faithful had asked the diocesan bishop with their signature for the erection of a Mass location in the traditional rite. However, the promising start failed because of the then Bishop of Bolzano-Bressanone. The time was obviously not ripe yet. The Motu proprio Summorum Pontificum created by Pope Benedict XVI. initially freed the Mass in September 2007. In the diocese, within two years there were two bishop changes. Since autumn 2011, the diocese has been headed by Bishop Ivo Muser. New possibilities opened up. Since June 2013, an FSSP priest celebrates Holy Mass once a month in the German church of Bolzano in the traditional form of the Roman Rite. From the summer of 2014, a second location in Bressanone followed in the same rhythm. Since then, the two episcopal cities, the ancient episcopal city of Bressanone (since about 960) and the new episcopal city of Bolzano (since 1964) have been reached by the Priestly Society of St. Peter. The two Mass locations were looked after at the German church in Bolzano and the Mariahilf church in Brixen by the Upper Bavarian Mittenwald, which is itself looked after by Innsbruck already. Additionally, contacts were established with the only Tyrolean Benedictine monastery, the Abbey of the Heiligenkreuz in Säben. It's a connection that blends well with the two Mass locations. Not only because the monastery is geographically located exactly between them, but because Säben from the 6th -10th Century was the first and oldest episcopal see of the diocese of Brixen. The old bishop's palace, today's monastery, towers like a strong fortress of God on the Säbener mountain high above the Eisacktal. At the foot of the mountain, which for early Christians had been a safe haven, lies the small town of Klausen and the castle of Branzoll. The ascent to the monastery takes place from there on foot. The high age of Christianity on this venerable "Holy Mountain of Tyrol" can be felt everywhere. Since 1686 there is a daughter of the Abbey Nonnberg in Salzburg on the mountain. Since then, contemplative Benedictine nuns live here in strict retreat. They dedicate themselves to choral prayer, domestic work and the gardens. Fr. Sven Connrade, the first priest of the FSSP, found a friendly reception with the nuns. Thus, the FSSP has its first office in Tyrol. The monastery is the destination of many pilgrims to the Heiligenkreuz Church, one of the three churches of the monastery. There is also a guest house that is open to people looking for more than a few days more than just a hotel. Interested women can live in the monastery community. 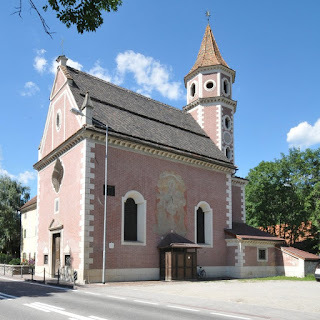 From Säben the FSSP has looked after the two Mass locations whereby in Bressanone it was extended by the constant presence of a priest. In the Church of Mariahilf, the Holy Mass is now celebrated on every Sunday and public holiday in the traditional rite. This is a big win for the faithful in South Tyrol, which is gratefully accepted. P. Conrad took over in the meantime new tasks in Bettbrunn. The South Tyrolean sites are now looked after by P. Bernward van der Linden, an FSSP priest with experience of the Benedictine charism, which is why he feels at home in the Benedictine Abbey on the Säbener Berg. So there is the hope that in future in Bolzano on all Sundays and public holidays, Holy Mass can be celebrated in the traditional form of the Roman rite. For ten years, the bishops of Cremona have refused to celebrate Holy Mass in the traditional form of the Roman Rite. (Rome) The Bishop of Cremona refuses believers the Holy Mass in the traditional rite. The hostilities of the ecclesiastical hierarchy do not want to end. On the other hand, however, criticism rises from an unsuspicious side. The pastoral theologian Msgr. 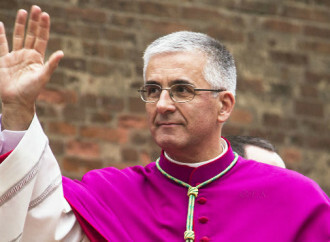 Antonio Napolioni was appointed Bishop of Cremona in 2015 by Pope Francis. "The Latin Mass is discovered by sociologists but hampered by the bishops," wrote the Nuova Bussola Quotidiana (NBQ) on 2 March. This is especially true in Italy. For ten years, believers have been asking the local bishop to allow them to celebrate Mass in the traditional rite, but in vain. The Motu proprio Summorum Pontificum does not seem to have reached Cremona. The predecessor of the incumbent Bishop, Msgr. Dante Lafranconi, appointed by John Paul II in 2001, did not want to know anything about the "Latin Mass.” His successor does the same. The episcopal behavior of Cremona shows, according to NBQ, "that many Italian bishops have a veritable phobia against the Latin Mass." "This request was already made to my predecessor, who saw in the diocese the conditions were not met to be able to accept the request and it was therefore refused, especially due to the fact that in more than 40 years the implementation of the liturgical reform of the Council throughout Diocese was adopted in peace. " The faithful tried to make the bishop understand that there are a considerable number of believers in his diocese who have this desire. This is verifiable, because the faithful sought refuge in the monastery church of the Barnabites, which is thus not directly under the episcopal jurisdiction, where a priest after the repeated rejection of the bishops declared to celebrate in the traditional rite. The bishop was unimpressed. He affirmed his refusal and cited the Barnabite priest himself. He reproached him severely and demanded that he bend down and stop the celebrations. Otherwise, he is guilty of a break in the ecclesial community. All arguments did not help. The bishop remained inaccessible. Since he did not want to bow, the religious was banned to celebrate sine populo two weeks ago. The Motu proprio Summorum Pontificum excludes private celebrations from any restrictions. The Barnabite the. capitulated. The faithful are back without Holy Mass. "What problems does the bishop have?" Since Summorum Pontificum, the bishop is no longer entitled to express approval or rejection. It was like that before, but it has not worked since. "The prevalent liturgical creativity and pastoral relativism are prevalent everywhere, but that does not seem to be a problem," says NBQ. The believers now receive support from an unsuspicious side. "I do not understand the reasons, but I will deepen the matter. It is celebrated all over the world. " who is guided by an ideology? " Benedict XVI: Some Italian bishops attack Summorum Pontificum and want to erase his pontificate. (Rome) At the autumn plenary assembly of the Italian Bishops' Conference an attempt was made to torpedo the Motu proprio Summorum Pontificum of Benedict XVI. This was reported by the traditional website Messa in Latino. In the two Romance states bordering on the Mediterranean, Spain and Italy, there is still an understanding of close ties with Rome. 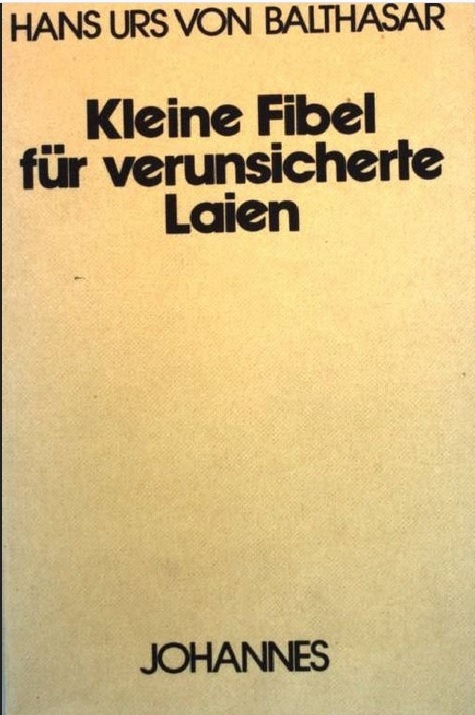 It is true that in these countries, especially Spain, there were far greater concerns about the liturgical reform of 1969-70 than in the German-speaking world. 6,000 Spanish priests asked the Pope for a dispensation from the liturgical reform and permission to continue celebrating in the traditional form of the Roman rite. As Pope Paul VI. uninterrupted, continued the liturgical reform and rejected the request, the clergy submitted obediently. Since then, tradition in these countries has found it particularly difficult to gain a foothold. Obvious "deviations" are not desired. So far in a condensed and much shortened form the historical context. Archbishop Carlo Roberto Maria Radaelli of Gorizia, a canon lawyer trained at the Gregoriana, allegedly said in the plenary session of the bishops, Pope Paul VI. had abolished the Missal Romanum of Pope John XXIII. of 1962, according to which the Ecclesia Dei communities celebrate. This is the opposite of what Pope Benedict XVI. stated in the Motu proprio Summorum Pontificum and made it the law of the universal Church. According to Radaelli, therefore, the legal premises were wrong, among those enacted by Benedict XVI. in Summorum Pontificum. The motu proprio is therefore null and void as far as the alleged continuity is concerned, that is, the continued existence of the traditional rite in the form of 1962. Summorum Pontificum was a legal nonsense and therefore the "Tridentine" liturgy was not restored legitimately. In short: According to Archbishop Radaelli, the motu proprio has no legal validity, which is why there is no "freeing" of the traditional rite, as Benedict XVI. wanted and ordered. The Archbishop of Gorizia's remarks are the most far-reaching attack on the Motu proprio Summorum Pontificum since Pope Benedict XVI's unexpected resignation. 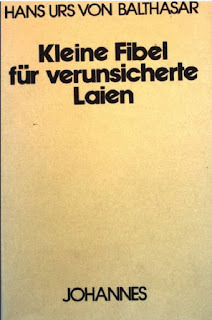 The German writer Martin Mosebach formulated the tough verdict in the spring of 2013: if anything at all about the pontificate of Benedict XVI. will remain, it will only be Summorum Pontificum. In other words, the attack on Summorum Pontificum wants the total annihilation of the pontificate of the eighth and for the time being, last German Pope. Behind this is the desire of those bishops who are the most hostile to the traditional rite, ignoring requests from the faithful for Mass locations, and even eliminating the Mass sites that have emerged since September 14, 2007. The legal claims of Archbishop Radaelli can easily be refuted by reference to Paul VI.’ self-granted Indult. In the same way it can just as easily be proved that the continuity of the traditional rite was preserved, since it was always celebrated, that is, by no means abolished. Rather Radaelli's attack document the hostility that exists in parts of the Church against the traditional form of the Roman Rite and ultimately against Pope Benedict XVI. and his pontificate. In addition to Radaelli, Luigi Girardi, the rector of the Institute for Pastoral Liturgy based at the Benedictine Abbey of Santa Giustina in Padua, also spoke up. 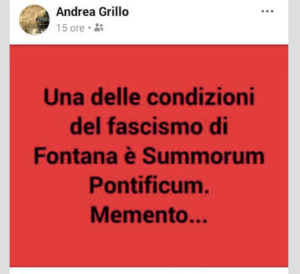 Andrea Grillo, the progressive house liturgist of Pope Francis, who attacked only in June 2018 Summorum Pontificum also teaches there. 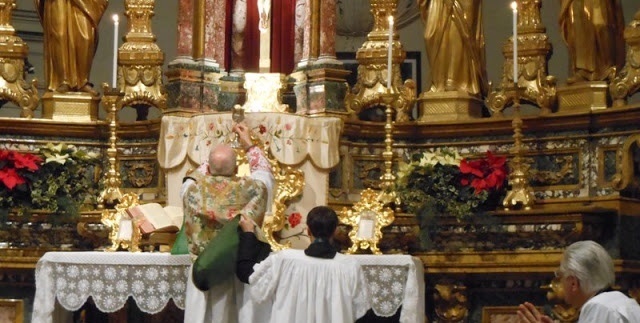 The institute is a center of the liturgical "aggiornamento" and thus postconciliar liturgical experiments and aberrations. Girardi is convinced that from the pastoral point of view Summorum Pontificum is "harmful" because it contradicts the will of the Council Fathers. According to Girardi, these would have demanded a radical change of the Missal. The opposite can be inferred from the Council Constitution Sarosanctum Concilium, as to whether the necessary consent to this were given. The attack against Summorum Pontificum may not have happened spontaneously, as an Apulian bishop whose name is not known spoke in the same vein, and also Bishop Franco Giulio Brambilla of Novara. Brambilla belonged in 1989 to the signatories of the Italian version of the Cologne Declaration against Pope John Paul II by the moral theologian Bernhard Häring (see also: Pope Francis and Bernhard Häring). Both Radaelli and Brambilla were raised by Benedict XVI. to their respective episcopal chairs. "The Excellencies" who "worry" about changing traditions such as the Gloria and the Lord's Prayer - such a decision was taken at the autumn meeting, even though no one from among the people would have asked or felt a need - "but do not waste time analyzing the true reasons for the crisis of faith,” says the traditional website Messa in Latino. The introdiction by Pope Benedict XVI., however, to change the translation of the words of consecration of per multis from "for all" to "for many" has not implemented by the Italian bishops until today. Of liturgical sensitivity, or even sensitivity to the sensitivity of traditional faithful, which should be expected in bishops is little felt by the hierarchy. Even the scandal of "horrible episodes of homosexual abuse and pederasty," has not moved the majority of the bishops and on the evils of clerical homosexuality there is nothing. "The case of the Franciscans of the Immaculate and the hatred of the traditional form of the Roman rite is a clear example of a mad frenzy of shipwrecking, trying to overturn even the few seaworthy craft in the Church instead of climbing aboard or building more." says Messa in Latino. Franciscan of Immaculate marching for life. New points for victory, but without a rethinking in the Vatican there seem no end to the torments in sight. 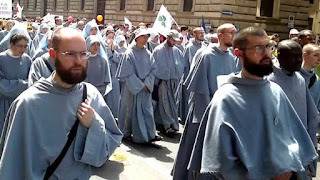 (Rome) The Franciscans of the Immaculate, oppressed by the Congregation of Religious with the approval of Pope Francis, have achieved another victory, at least a moral victory, which should more than ever be the occasion of a process of reflection in the Vatican. There aren’t any indications so far. Despite its young age, the Order, which was not established until the early nineties, stood out for the great number of religious and priestly vocations, even in Europe, where most of the orders are moaning because of a lack of vocations. The secret: As large parts of the Church and also many members of the Order, especially during and after the Council, were enthusiastic about "cutting off old braids" and introducing all sorts of innovations in the name of new "freedoms," from the setting aside of the Order's name to the abandonment of the Order's habit, from the convenient expansion of the cells while at the same time reducing the communal prayer of the hours, two friars minor went the opposite way. They asked to leave the company of their "progressive" confreres and retire to an abandoned monastery and revive it. There, they did not seek to subject their religious rule to an "aggiornamento" but to build on the first Franciscan rule of the order and deepen Marian spirituality. The two Minorites, Fr. Stefano Maria Manelli and Fr. 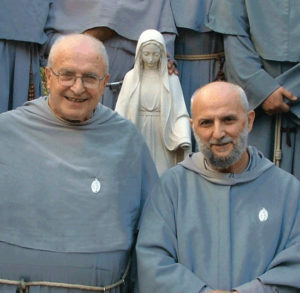 Gabriele Pellettieri, were joined by others, and they became the founders of the Franciscans of the Immaculate, a Marian and traditional order. As Pope Benedict XVI. 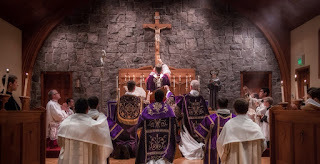 freed the Immemorial Rite with the Motu proprio Summorum Pontificum and procured a home in the church, the young religious community did not hesitate to follow him in it. 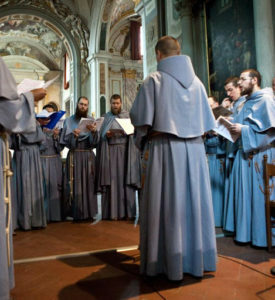 The Franciscans of the Immaculate became the first and so far only new religious order, which has returned to the traditional rite, but remained pastoral and bi-ritual. The special charisma that has distinguished the Order from other altruistic communities was its missionary zeal. Benedict XVI. held his protective hand over the Order, which seemed to become as unique and interesting a model as it was to young members of other orders. Then there was the unexpected resignation Benedict XVI. and election of Pope Francis. In the Order, a tiny minority of five disgruntled, liberal brothers had complained because of the change to the Immemorial Rite in the Vatican. Under Benedict XVI. the Congregation of the Religious did not dare to take action. Under Francis, it immediately received the tiny minority's complaint as an opportunity to crack down on the unloved model - and radically. Manelli was deposed as Superior General and placed under house arrest. The order's leadership was removed from office, the priests were forbidden to celebrate the Immemorial Rite, and an apostolic commissar was appointed. In contradiction to Summorum Pontificum, each priest had to individually apply for a special permission to celebrate in the forma extraordinaria. In order to exorcise the Order's charisma, monasteries were closed, its seminary closed and evictions were carried out. The conversion into an Ecclesia Dei community was prohibited as well as the founding of a new order. Bishops were threatened if they accepted Franciscans of the Immaculate who left the Order. In that summer of 2013, a veritable destructive campaign was kindled. The consequences did not remain: the first was the drying up of the vocations. The Summit: To date, the Vatican has not given any reasons for this radical interference, let alone any charges. So far there was no possibility for the Franciscans of Immaculate to defend themselves against the oppressive measures of the papacy or at least to defend themselves. The requests and queries of Fr. Manelli to be received and heard by the Pope were not answered by Francis. As Commissar, the Congregation of Religious used the Capuchin, Father Fidenzio Volpi. A man who was possessed of no sympathy for the tradition or the Immemorial Rite. Accordingly, he raged against the Order. Unofficially, let it be cryptically hinted that the order was being cleaned up because of "Lefebvrian deviationism." Later, he even claimed that the Order had been put under temporary administration four months after the election of Pope Francis, because it wanted to "overthrow" the Pope. That tradition and the Immemorial Rite is the real enemy became more and more clear, if there was any need for further proof. 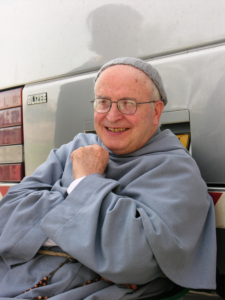 In May 2013, founder Manelli celebrated his 80th birthday (see Father Stefano Maria Manelli is 80 - success story of the Franciscans of the Immaculate: Old Rite and Missionary), unaware of what a storm would soon rage over his work. Meanwhile, Fr. Manelli is 85 years old and has been under house arrest for nearly five years, as ordered by the Vatican. By contrast, Commissioner Volpi has been long dead. Today, the second Commissar, who is a bit more reserved than his predecessor, is in office today. Volpi died in the midst of a civil and criminal dispute before Italian courts. The way in front of state courts is at least open to Father Manelli and representatives of the lay organizations affiliated to the Order because the Vatican has no access to it. Volpi had been condemned by the Italian court for defamation, to payment of damages, the execution of which was prevented by his death. Loredana Volpi, a niece of the deceased commissar, saw the reputation of her uncle damaged. 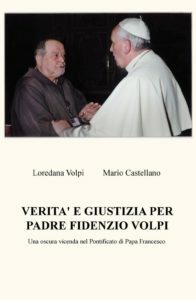 Together with Mario Castellano, she wrote the book "Truth and Justice for Father Fidenzio Volpi. A dark matter in the pontificate of Pope Francis" (Verità e giustizia per padre Fidenzio Volpi, Una oscura vicenda nel Pontificato di Papa Francesco). 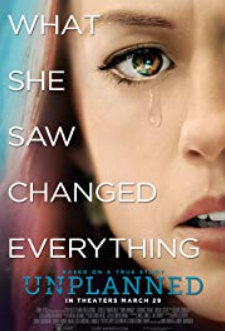 Now, she has admitted to accusing the Order of unproven things and writing slander against those in charge of the lay religious organizations. "While the Acting Administration of the Franciscans of the Immaculate continues in its sixth (!) year, without for the time being, foreseeing a possible solution to this unusual affair, which together with other actions bordering on arbitrariness (see the Order of Malta) like a blemish on this pontificate, has been a important manner of procedure in the indictment and slander-construct that has poisoned this story," said Vatican Marco Tosatti. Mario Castellano, the co-author with Loredana Volpi, was a consultant to Commissar Volpi. Numerous hints, tips and "recommendations" from Fr. Alfonso Bruno, the main opponent of Fr. Manelli, who became the main beneficiary of the provisional administration of the Order, were probably included in the book. In each country there are keywords that function as ciphers. If you want to slander someone, it is sufficient to incorporate these keywords and to drop some allusions in the subjunctive. Castellano and Volpi in their book brought the Order and lay organizations into contact with the Camorra, the Neapolitan mafia. The mafia is good for slander in Italy. Loredana Volpi was received in audience, apparently for merit in the struggle against the Franciscans of the Immaculate, even by Pope Francis, to whom she presented a copy of her book. The two authors, however, made a mistake. In their references in the book, they named the leading lay representatives by name. These filed a criminal complaint for defamation. This was to prove the truth, which was obviously not possible. To escape prosecution, Loredana Volpi decided to come to an out of court settlement with the plaintiffs. She undertook to write a letter of apology to be published in the leading daily newspaper of Southern Italy, in Il Mattino, and in the national daily La Repubblica. The left-liberal Repubblica was not the only newspaper to participate in the campaign against the Franciscans of the Immaculate. The ruling may have fallen on it because it is the only newspaper that Pope Francis reads daily, according to his own statement. However, in order for the message to arrive at the governing pope, who bears the responsibility for the whole case, Volpi must, as she had handed him a book, also make her apologies directly. "It is absolutely certain that the statements employed are [...] not justified, being untrue, and for that reason they must be considered absolutely baseless and unjustified. In that sense, I renew to you my formal apology for the unfortunate and unjustified conduct towards you, and I inform you that the present letter will be published in the following ... media organizations and also on the Internet so that it may be widely used to redress the damage caused." In return, those affected withdrew their ad. The incident proves "once more," according to Tosatti, that the whole affair, which brought a most extraordinary, flourishing, young order to the brink of annihilation, is based on a construct of unproven allegations, rumors, baseless allusions, numerous verbal aggressions, and unbelievable slander. In short: it is an intrigue. The intriguers, that's for sure, seem partly personal, but partly ideologically motivated. The ultimate responsibility for this lies not only with Pope Francis, because he endorsed the interventions of the Congregation of Religious, but above all because he has put both the male and the female branch, which was also placed under provisional administration at a later time, with two separate actions he refused to appeal to the Supreme Court of the Apostolic Signatura against the measures of the Congregation of Religious. Thus, he decided by virtue of his powers as an absolute monarch. Why so much emphasis on an Order with which he had never had direct contact? The ordinary legal process would have clarified the legality and validity of the measures of the Congregation of Religious and above all revealed what it is all about. That was (and is) precisely, obviously not desired. Loredana Volpi's apology, according to Marco Tosatti, "casts a heavy shadow on the credibility of the Fronde [faction] of adversaries," arrayed against Father Manelli and his Order. (Rome) The legal norms of Benedict XVI. are clear. They were established by him for the whole universal Church in the motu proprio Summorum Pontificum committed. Any priest has the discretion and without any additional permission to celebrate Holy Mass in the extraordinary form of the Roman Rite. In order for believers to be able to attend the celebration, is to form a stable group. The phrase "coetus fidelium" lists no minimum number, it sets the hurdle but so low that a handful is enough. Not all bishops, priests and Ordinaries can make friends with the motu proprio. Again and again there are reports that the faithful who wish the celebration of Mass in the traditional rite, being put off, being slowed or even shown hostility. The standards adopted by Pope Benedict XVI. leave no plausible discretion in proper compliance. As a rule, therefore, ideological reasons hide behind resistance against the traditional Mass. The Archbishop of Ancona-Osimo, Msgr. Edoardo Menichelli, who was made a cardinal by pope Francis in February 2015 is an exemplary case. "As already stated, the rule of a stable group applies, the bishop does not need to grant any permission. I know that you've already spoken with the pastor, and the group also provides the liturgical book [the 1962 Missal]. I do not now know who will celebrate the Holy Eucharistic liturgy: if there is a priest of the diocese, I have no objection; should it be another priest, he has - as required - to submit to the pastor the celebret. On this occasion, I bless you all and your families. " (Rome) The French side ProjectSP5 published a map of Europe which includes the Mass locations of the traditional Mass. ProjectSP5 standa for Project Summorum Pontificum. The map highlights the spread of the traditional Rite, which Pope Benedict XVI has restored the traditional Rite again to its official right of residence in the world Church. Counties, notably Ireland, we're not included. The traditional Rite is thus more prominently represented in those areas where the Catholic Faith has been historically endangered by great pressure. That was true for England though the long Anglican state persecution, for France through radical secularization and for the German speaking areas through the Church schism of the 16th century, which separated both the people and the state, and in the last half-century from a protestantizing in progressive Church circles. The "Rheinisch Alliance" from the leading German and French speaking bishops and theologians are in this area and worked a massive influence on the Second Vatican Council. The consequences were an inner-Church break, which has not been resolved and has thrown the Church into a difficult crisis. The maps with the Mass locations documented in the same area as the reaction to this development and gives the impression of the vitality of faith and the Church. The also shows a significant shortcoming. Some Mass locations are missing, others are imprecisely located on the map. . A more precise and comprehensive map, "would be desired and would make the implementation and effect of the Motu proprio Summorum Pontificum of Papst Benedict XVI", says the traditional site Messa in Latino. The project of the French blogger is still a noteworthy beginning.